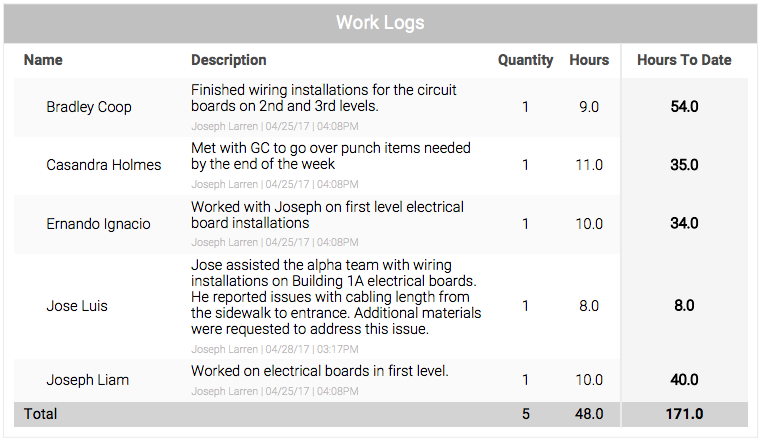 Creating daily reports for construction is one of the most important parts of the job for any contractor. Not only do they keep you up-to-date with project progress and delays, they also protect you and your company from expensive litigation and inform owners and management about the happenings on a construction site. Yet creating a construction daily report can be one of the most difficult and frustrating parts of the day. Recounting specific incidents, teams, delays, deliveries, or weather fluctuations can be extremely hard after a long day if you are relying on your memory or scribbled notes. Not only that, if you save it for the end of the day you’ll need at least an hour to aggregate all the information and send it to the team. It begs the question, how are you supposed to record all of the important information you need? What’s the Best Way to Create a Daily Report? Luckily, the days of collecting pen and paper (or even worse, memorized) daily reports are gone. 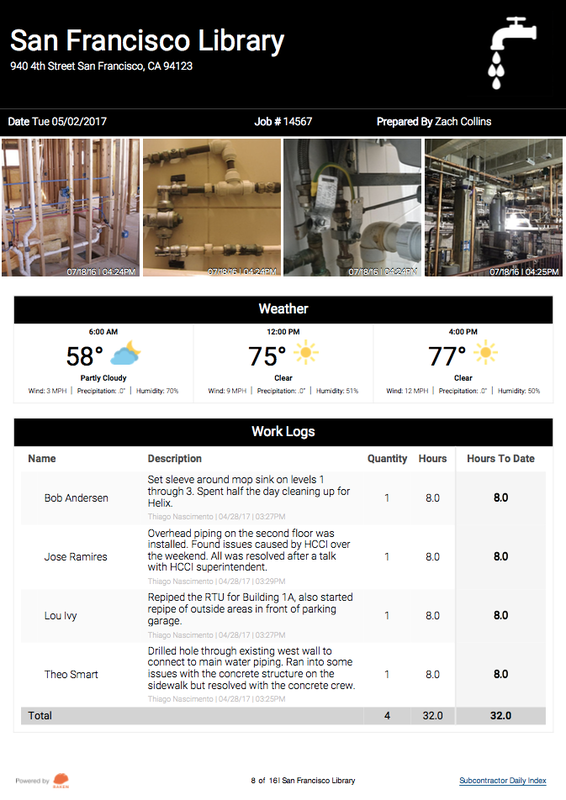 Top construction firms have turned to mobile apps like Raken to capture and share their daily reports. Utilizing mobile devices increases the amount and type of data you can record, improves shareability, and puts all of this directly in your pocket. When you’re done with your report for the day, you can digitally sign from the field and your report will be shared with everyone who needs to see it. 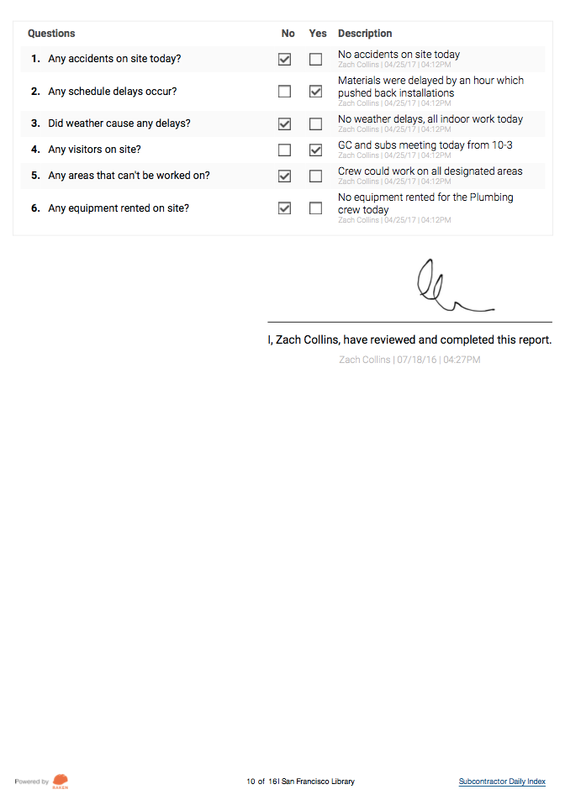 There are a few key components that make up a good daily report for construction sites. They are summarized below, followed by a daily report example which brings them all together. Project and Day Info Good construction daily reporting documentation requires consistency and organization. Standardize the project and date naming convention to make it easy to find old reports. Weather Reporting Bad weather? Beautiful day? It’s important to record because it might impact the work for that day or week. Work Logs Have a bunch of subs to manage? Make sure to track who was on site and what they did. Notes, Issues, and Concerns Something behind schedule? Make a note to explain what went wrong. Photos and Attachments Seeing is believing. Did your delivery arrive on time? Snap a photo to prove it. Daily Survey Be sure to get all your critical questions answered such as “did the weather cause delays? This may seem obvious but it’s critical to every daily report. Construction companies and dealing with a number of contractors, subcontractors, projects, and locations, so it’s vital to capture basic project information such as project name, location, who a report was completed by, and date. Keeping a consistent naming convention across all of your projects will save you a ton of time when you have to go back and find a daily report for a specific day on a specific project. Weather is an important part of construction and should be recorded every day. Changes to the weather such as rain, snow, or even baking sun, impact the efficiency of workers and increase the potential for accidents. Daily reporting software will allow you to take weather snapshots multiple times a day. This is a significant improvement to manual notes or relying on external weather reports. Having the weather directly on your daily reports allows you and project owners to directly see the impact weather had on the day. Did the weather impact construction that day? Be sure to supplement the weather report with a note of the impact the weather had. Work logs are at the core of daily reporting. Every day different subs and workers are on site. Quickly jotting down which teams were on site, the number of workers they had, the hours they worked, and a description of their work helps you easily keep track of the total number of hours that were dedicated to specific projects. From these logs, you can automatically generate manpower reports to see weekly and monthly trends of your different subs and the projects they completed. The construction photo app is the place to visually capture any notes you have for the day. It’s really up to you and your team what you’d like to record. This is also where you can snap and attach pictures directly from your phone so off site managers can get a glimpse of what’s going on. Late delivery or malfunctioning equipment? This is your chance to make a note about it. One of the major benefits of daily reporting for construction is to protect from litigation. In the event that there is ever a dispute about the happenings of a project, having detailed, time-stamped daily reports provide a clear snapshot of everything that happened on-site for a specific day. Daily reports for construction have the potential to save you thousands in litigation protection. 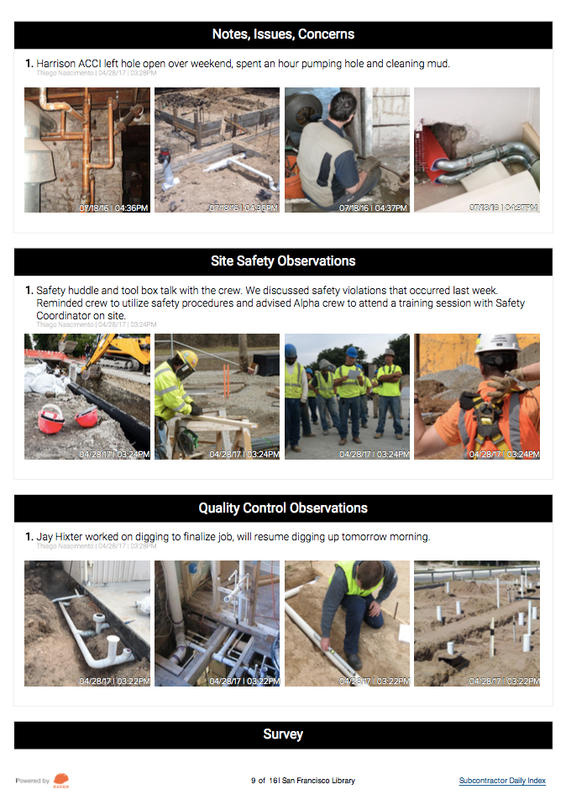 The site safety observations section is where you should make note of any safety issues that occurred on site. 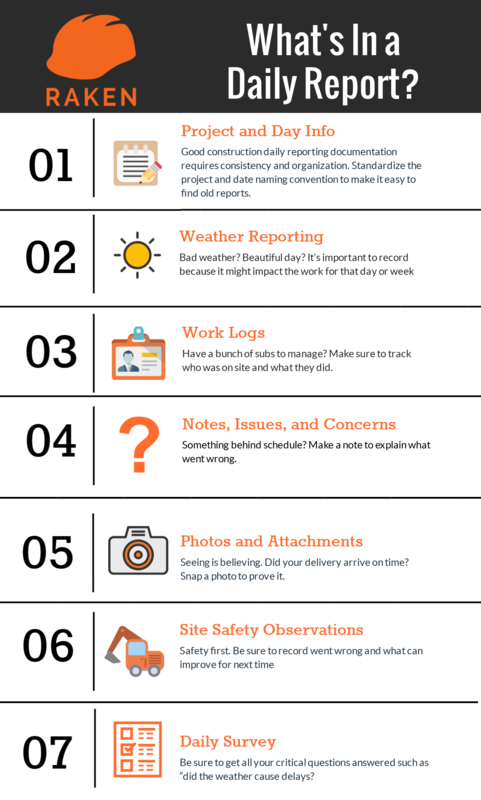 Taken every day, these observations also let you know if you’re continuing to improve the safety of your work site month-over-month. Finally, each of the daily reports for a construction site should be completed with a daily survey. This survey should be customized based on what’s important for you to report on a daily basis. For example, were there any visitor on the site? Did any schedule delays occur? Good daily surveys only take a few seconds and allow you you easily skip questions that are not relevant for that day. Obviously, not all daily reports will look the same. One of the most important parts of daily reports for construction is that they are flexible to fit your business needs. 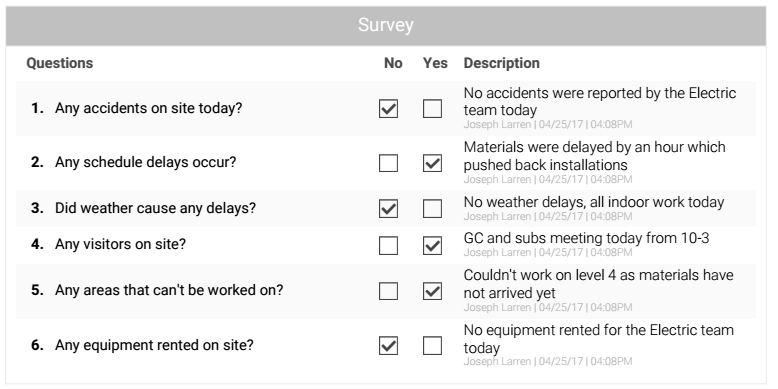 This daily report form example generated using Raken may look different from yours depending on the survey questions you ask or the notes you make. Raken also allows you to customize the colors of the daily report to match your company’s brand, adding an extra splash of personalization that is sure to impress upper management. Creating quick, complete, and beautiful daily reports is at the core of what Raken does. We have made the best construction daily report app to ensure field reporting is as easy as possible and we’ve designed our app with contractor and subs in mind. Who Creates the Daily Report? Typically, depending on the size of the project, a general contractor relies on his or her subcontractors to complete the daily reports for construction sites. An additional benefit of using a software like Raken is that the daily reports from every subcontractor can be combined into a single Super Daily. The Raken Super Daily allows you to see which subcontractors completed their dailies, what they completed, who completed it, and more. 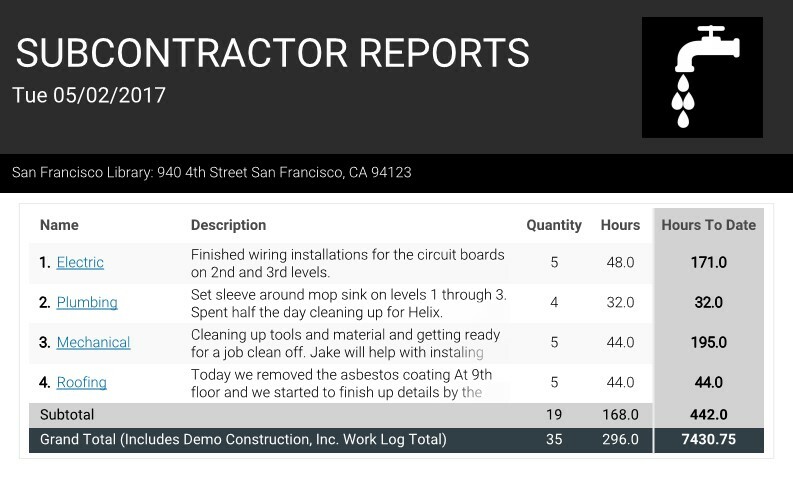 Also, the subcontractor daily report looks exactly like the general contractor daily report, making a cohesive and standardized format for all reports. This is turned into a single PDF construction report without any additional work for you. Looking to create an example daily report? With Raken, you can create your first daily report example in minutes for your team. Use the button below to get started!